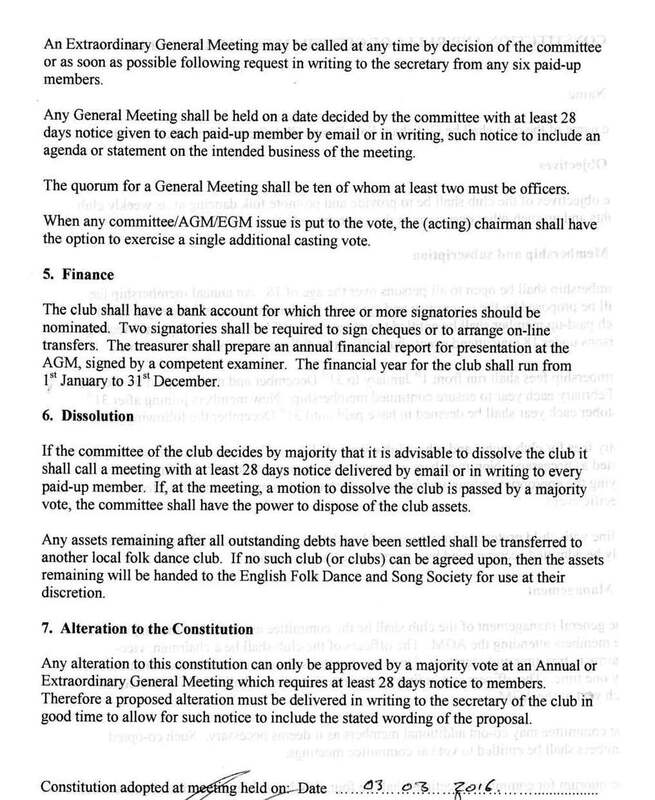 Gittisham Folk Dance Club is run by a committee of members, elected each year at the AGM. 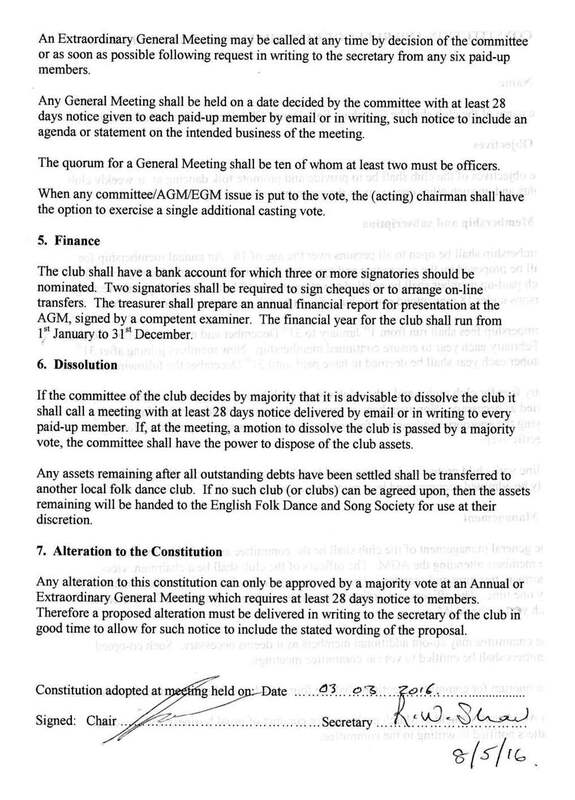 The club adopted a simple constitution in March 2016 which is shown below and may be downloaded as a pdf: GFDC Constitution. Signed on the original by Chairman and Secretary.